The Workplace Equality Index is the leading tool for employers to measure their progress on lesbian, gay, bi and trans inclusion in the workplace. Here at MDX, staff and students have been working together to continuously develop and improve everyone’s experience of diversity and inclusion at work. 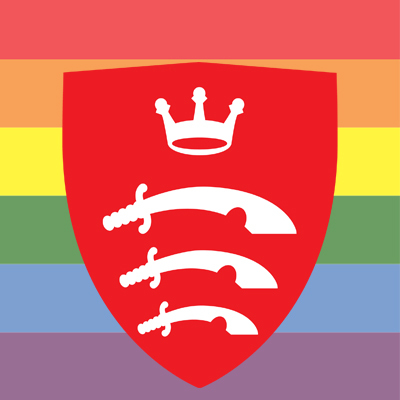 By collaborating with MDXSU, the LGBT + Everybody Else forum, and staff and students across the University, we have climbed up 24 places since last year, in a cohort that is more competitive than ever before. To MDX, this is about more than just diversity; it’s about having representation for everyone, and providing an environment all feel included, and all have a voice that is heard. With a student body representing over 145 different nationalities, an array of societies spanning across liberation, cultural, political, and religious groups, and of course the MDX community’s active participation in the London pride movement every year, this award is very special to the whole community. Find out more information about the Stonewall Equality Index.